Check out this beautiful townhouse in a quiet community. The open main level features living & dining areas, ceramic tile flooring, a cozy wood burning fireplace, an updated kitchen with all appliances included, laundry & half bath. Upstairs features a large master with extra space for a desk or vanity & new ceiling fan, an updated full bath, and a large 2nd bedroom with walk-in closet & new ceiling fan. 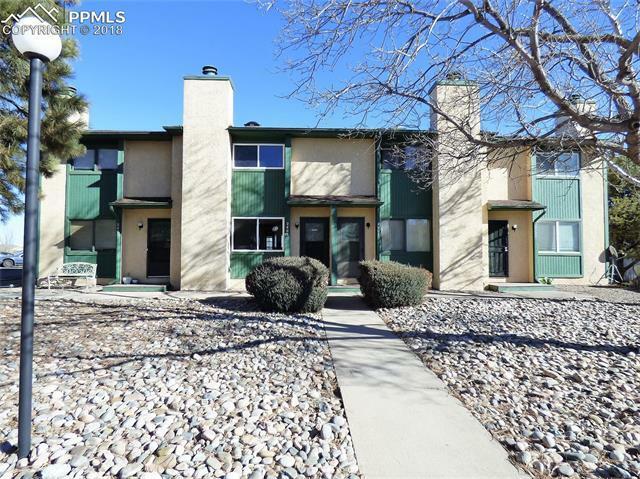 Fantastic location convenient to Schriever AFB, Peterson AFB and Powers Corridor. Nearby dog park.